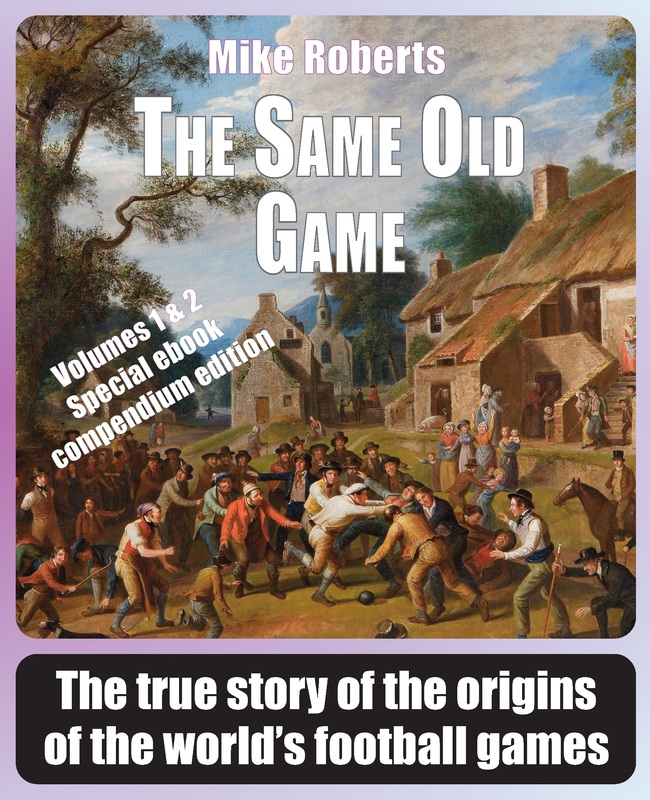 The Same Old Game now available as a Kindle ebook from www.amazon.com! Volumes One and Two come together in a special ebook compendium edition! It looks like ebooks are the future, and Kindle users can now buy both volumes of the true story of the origins of the world’s football games in one single edition. Just click here to download your copy in a matter of seconds, for the price of just $US 5.99*, including VAT & free international wireless delivery. If you don’t have a Kindle you can download a PC version for free from this link. If you use a different system for viewing ebooks, you should be able to work around the problem using the free Calibre program available here. But I must admit I’m new to this ebook malarkey, so don’t quote me on all this. Please make sure you are able to read the ebook somehow or other before you send anybody any cash. Unfortunately, the ebook format doesn’t support indexes and the footnote system is a right chore to have to deal with. But that’s no fault of my own, that’s the way it is with ebooks! **€EU 3.79, £UK 3.80, $AUS 5.61, $CAN 5.99, $NZ 7.24… prices not in $US subject to fluctutation.